Some product ranges are particularly comprehensive – too much to know about all combinations and possibilities. 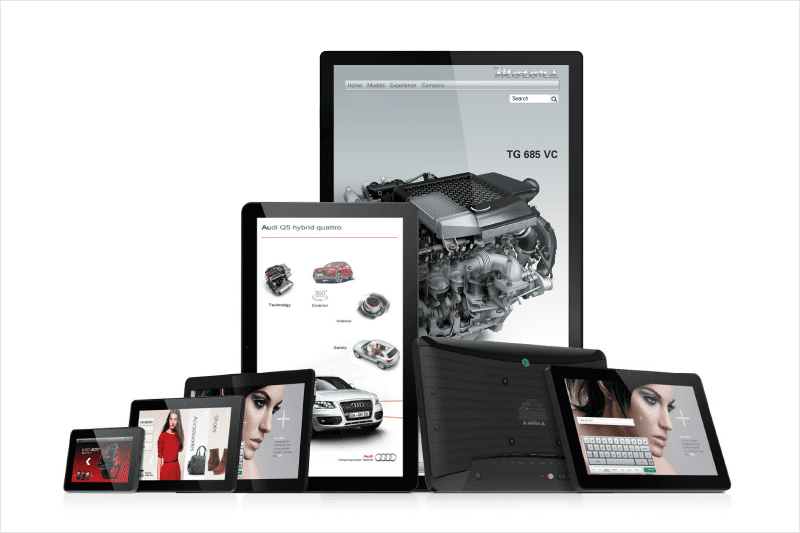 The friendlyway tablets series actively supports customers in the right product selection. The compact, slim units can be integrated directly into many standard sales rack types without any hassle. Thanks to their size, they are easy to place, right next to the product. 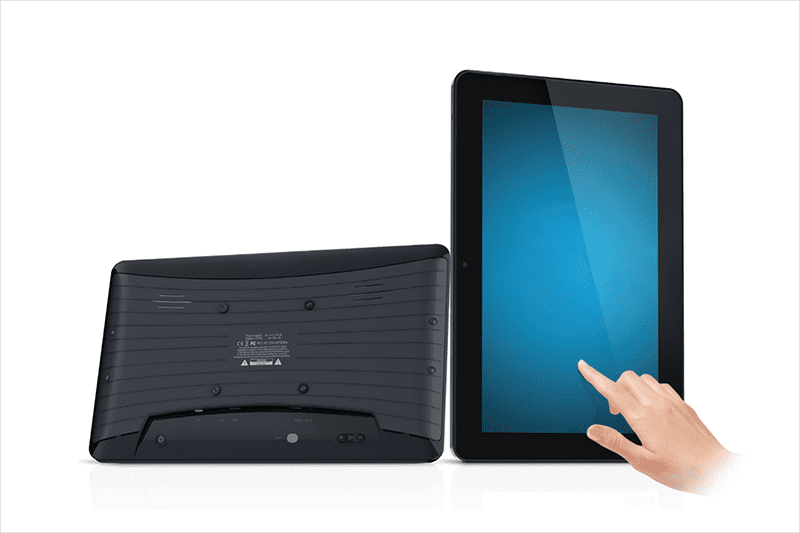 With the built-in Android PC, the system allows significantly more complex, interactive applications, than common playback systems. 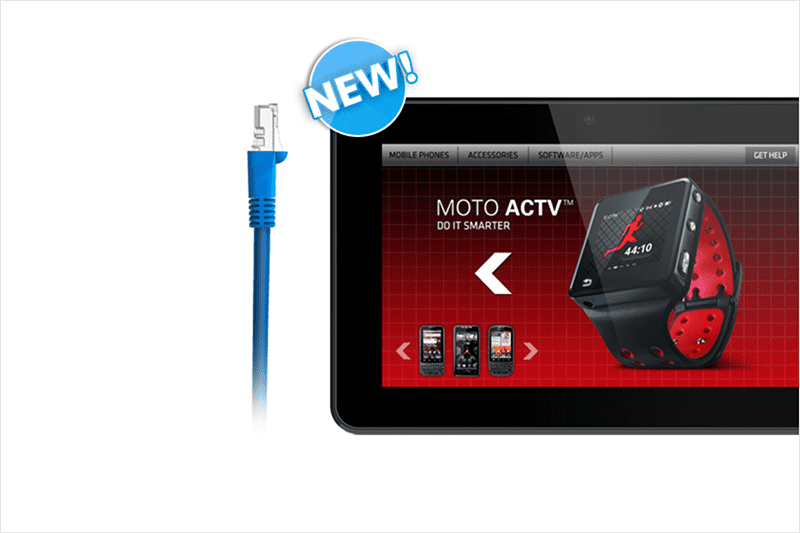 The touch screen allows direct control by the customer. 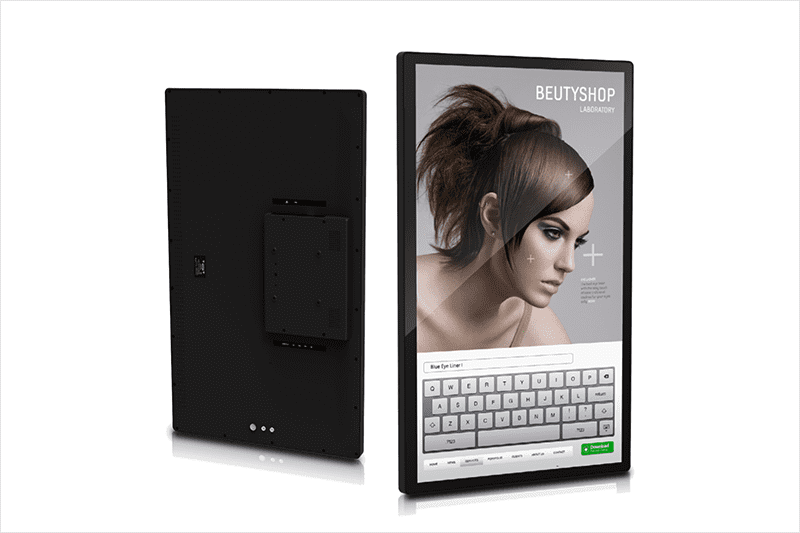 The friendlyway tablets series provides you with direct sales support with all the advantages of a full-fledged kiosk system. Interaktive Interactive customer support in choosing the right product. Database-based product overview for extensive product palettes.